The victory is the 24th consecutive home win for Alabama, tying the school record set from 1971-74. 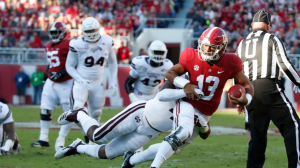 The Crimson Tide (10-0, 7-0 SEC) held the Bulldogs (6-4, 2-4 SEC) to just 169 yards in total offense, 248 yards below MSU’s season average, and kept the Dogs off the scoreboard for the first time this season. Alabama shutout the second top 20 opponent in two weeks. Today’s shutout is the second in a row for the Tide and gives UA back-to-back shutouts for the first time since consecutive 49-0 victories over Western Carolina and Auburn on Nov.17 and Nov. 24, 2012. The Tide defense totaled five sacks in the game and limited State to just 44 yards on the ground in the win. Sophomore Dylan Moses and redshirt freshman Quinnen Williams led the Tide with six tackles apiece. 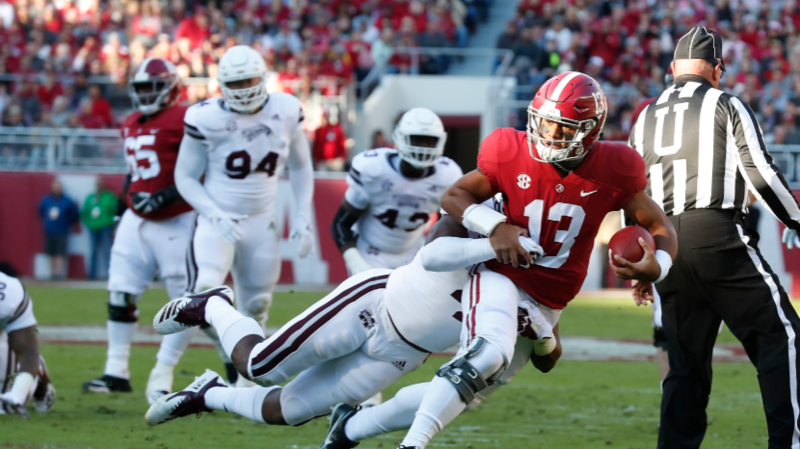 On offense, sophomore quarterback Tua Tagovailoa threw for 164 yards and a touchdown, junior running back Josh Jacobs carried 20 times for 97 yards and a touchdown and had the Tide’s lone touchdown catch. Junior Irv Smith Jr.led Alabama in receiving yards with 70 on five receptions. Alabama has now won 10 games for the 11th consecutive season and the 38th time in school history. The Tide returns home next Saturday, Nov. 17, for a non-conference game against The Citadel at Bryant-Denny Stadium. Kickoff between the Crimson Tide and Bulldogs is set for 11 a.m. CT.